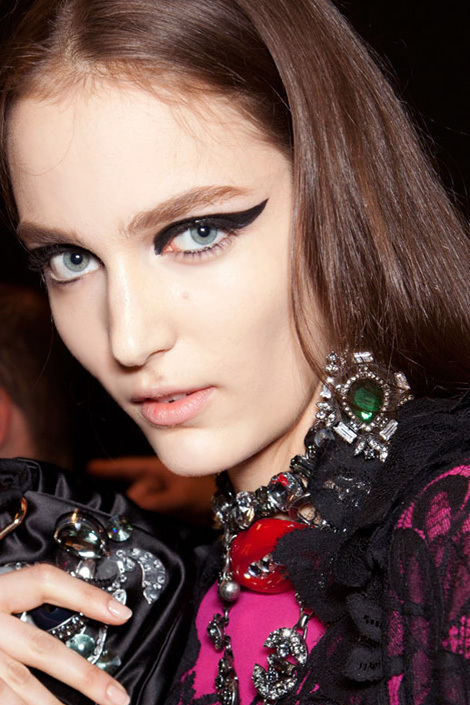 The late Elizabeth Taylor launched the "cat eye" look and between the snapshots of models backstage at Naeem Khan's A/W12 runway show, my love for all things vintage and Adele on the cover of March Vogue, I'm officially obsessed with '60s style winged cat eyeliner.There is something about the simple winged eye liner look that appears flattering on everyone. 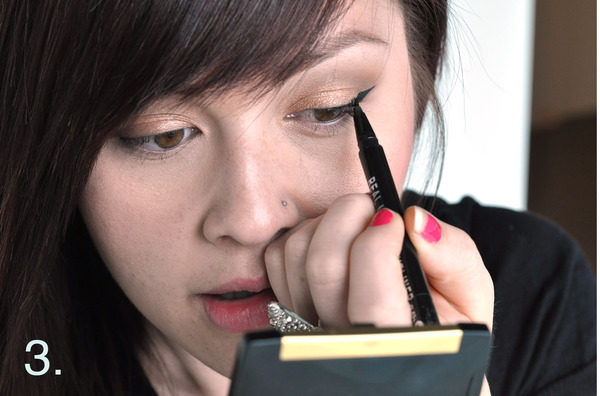 The extra flick of liner has been done by women since the '60s and to this day. 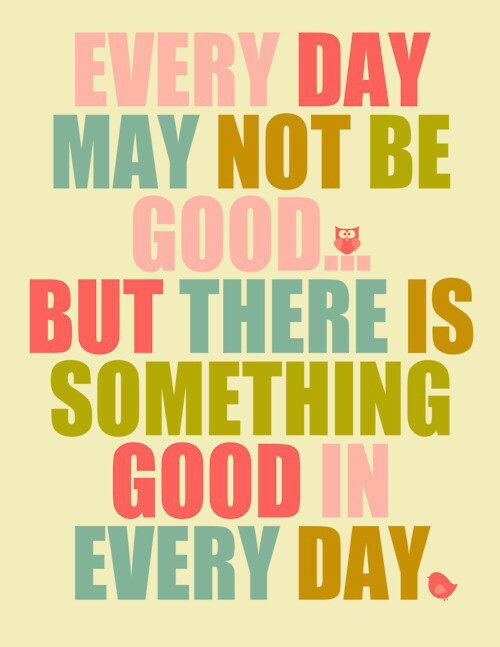 It looks amazing. It adds that extra dose of glamour to any look. I've spent a lot of time trying to perfect my technique, and so far I think I'm able to get it just right. My secret weapons- my FM ink pen, angled brush and sleek black eyeshadow. Drawing eyeliner is just like filling eyebrows, they should be sisters and not twins, but aim for perfection. It's surprisingly a very easy look to do yourself with any eye liner- Liquid, gel and cream eyeliners gives a precise line and pencil and eyeshadow gives a soft line. What do you think of my take on it? 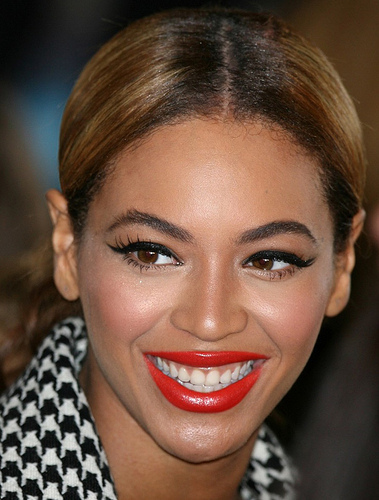 Its inspired by beyonce in "who run the world"
For easy application, hold or set a mirror at chin level and look downwards. If you have unsteady hands, rest your elbows on a table. Gently drag the pen or brush along the lash-line and past the top outer corner of your eye. Follow the upward curve of your eye with the eye liner. 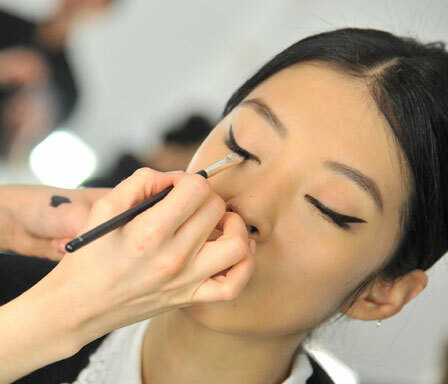 For a dramatic winged look, draw farther out and angle the liner more. Now to create the winged effect at the outer corners! Start at the outer corner of the line you just drew and work back toward your eye, using a light sketching technique with the pen in short strokes. As you get closer to the inner lash line, draw a thinner line. You want the effect of the liner to be thin to thick from the inner corner of the eye to the outer. Follow the natural shape of your eye and connect the liner to the inner corner of your eye. Fill in any missing spaces along the lash line. 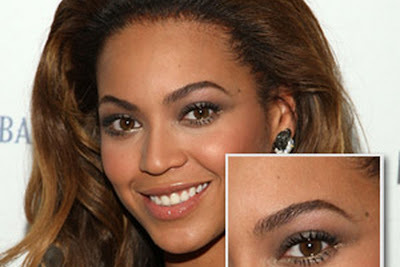 Did you notice that the models and celebrities have full and thick eyebrows, not sure its a trend but i love it. I'm letting my eyebrows grow out too ( see in my pictures above) and I also recently found out that Sofia Vergara and Beyonce dont tweeze/ pluck their eyebrows, they like the natural look and it also keeps the eyebrows looking healthy.